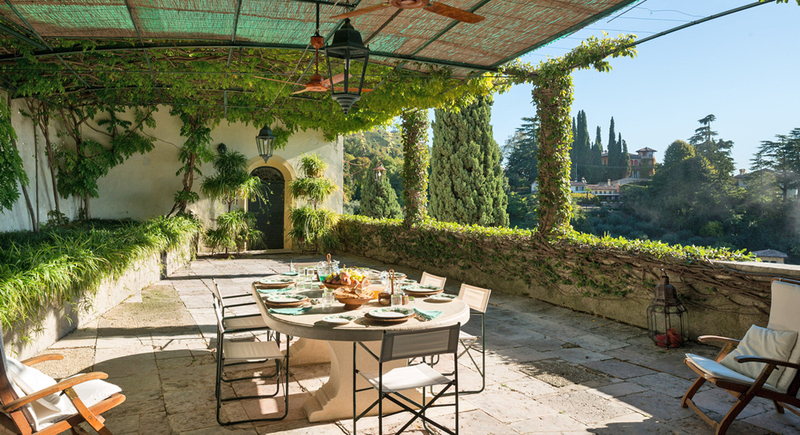 The “Cardinal’s” villa, this majestic 17th-century residence presides over the sublime hills of the Veneto, an hour north of Venice. 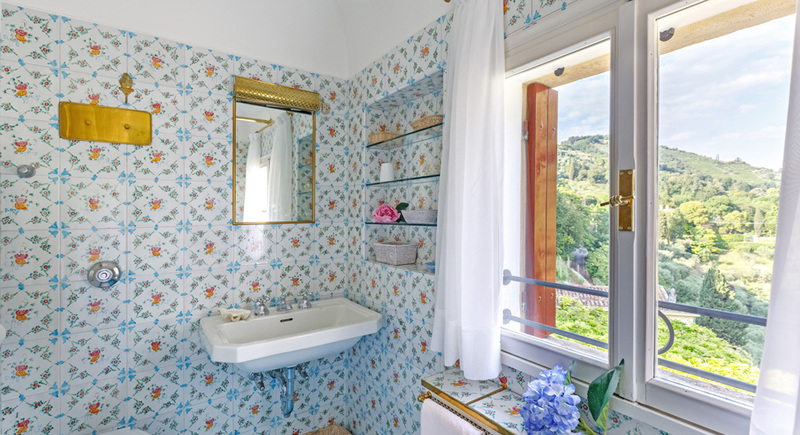 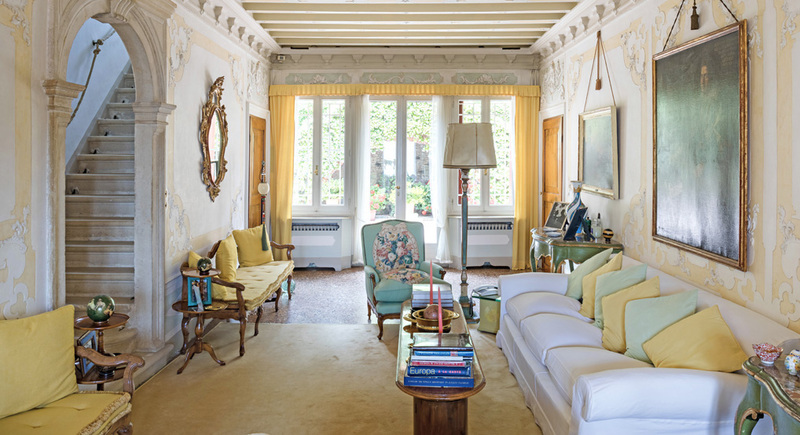 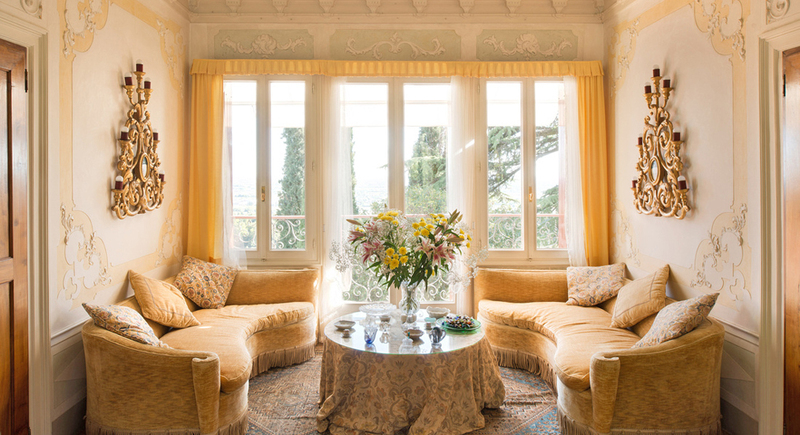 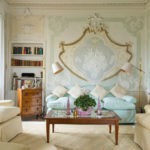 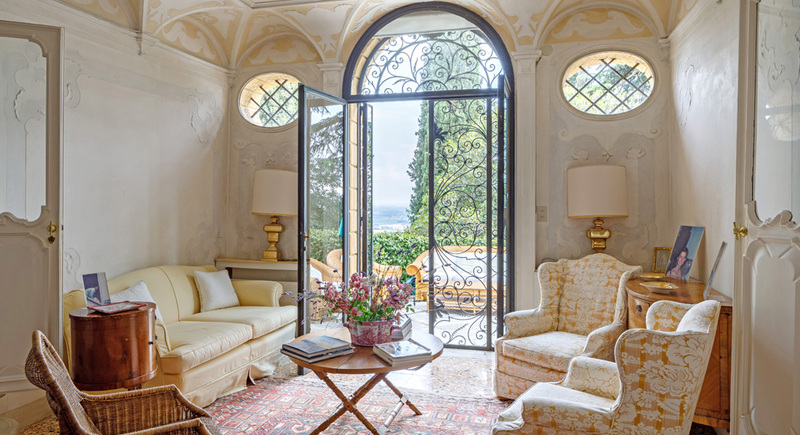 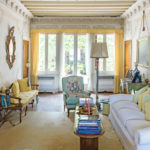 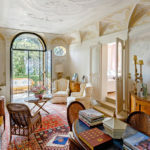 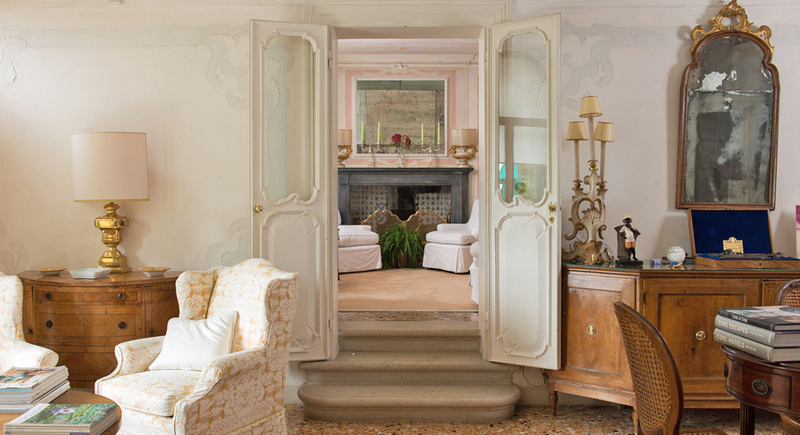 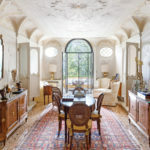 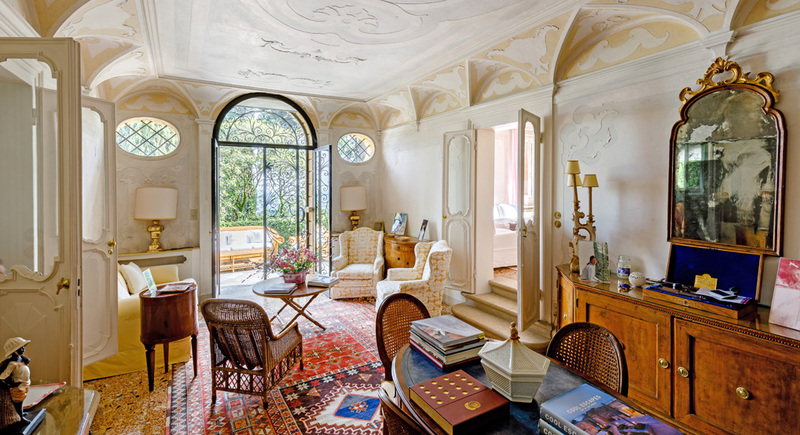 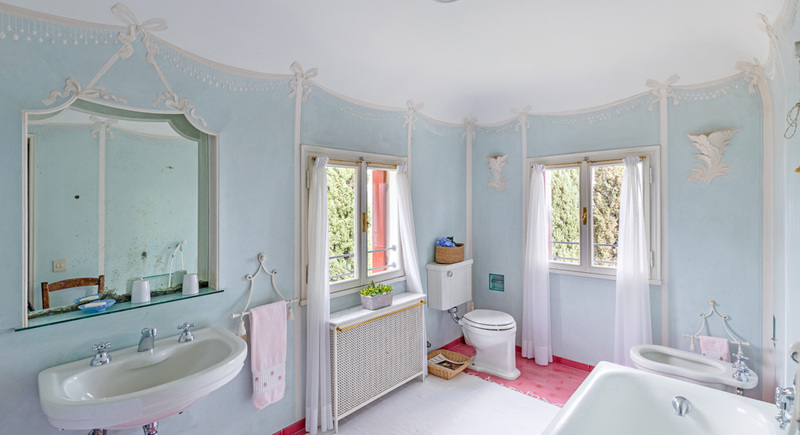 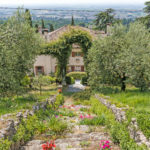 Surround yourself in Italian elegance at this incredibly enchanting villa located on the edge of the stunning village of Asolo, considered the “pearl” of the Veneto. 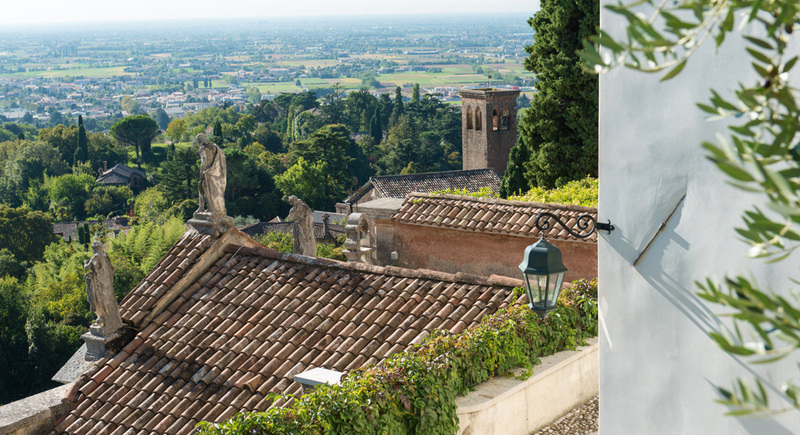 Perched above the town, the refined estate has a large pool, its own chapel and soaring views over the plains which reach as far as Venice on clear days. 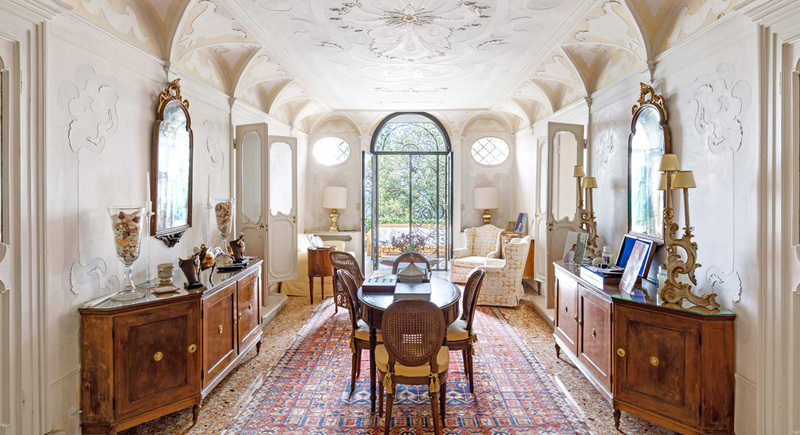 The sumptuous villa was commissioned in 1691 by Cardinal Gian Battista Rubini, bishop of Vicenza. 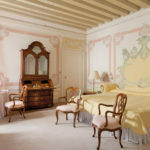 As the nephew of Pope Alexander VIII, Rubini held an important social position and, as such, entertained the era’s most illustrious figures in his sumptuous home. 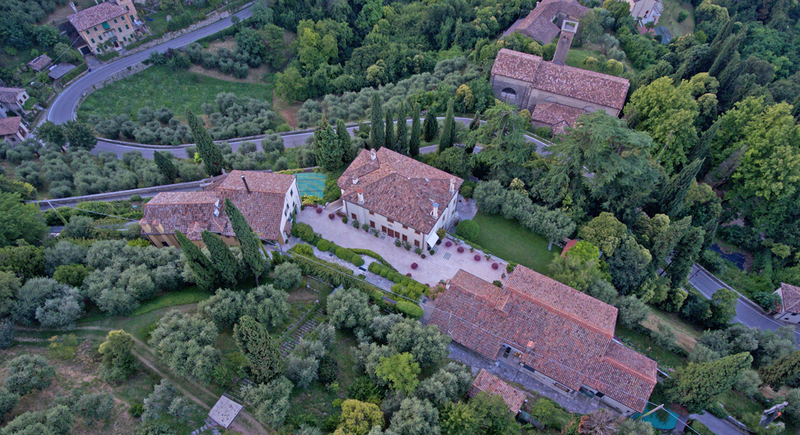 The villa is now owned by the De Lord Rinaldi family, who maintain the prestige of this magical property. 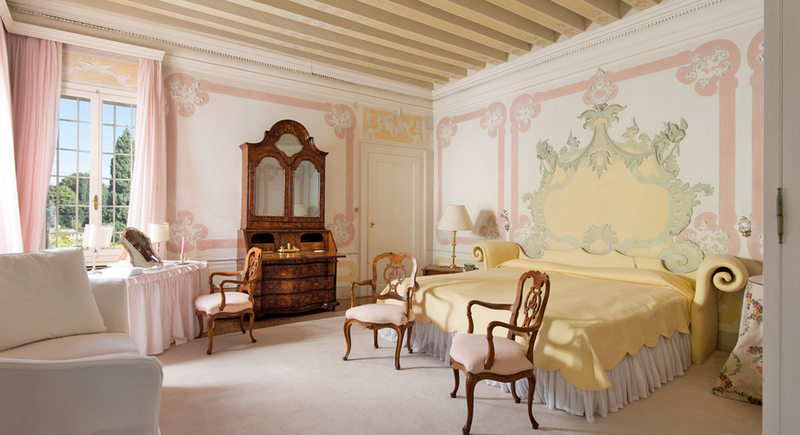 The interior is exemplary of Venetian grace, adored in period stuccos and Venetian plastered walls and painted in delicate pastel tones. 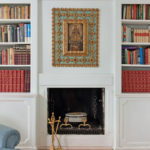 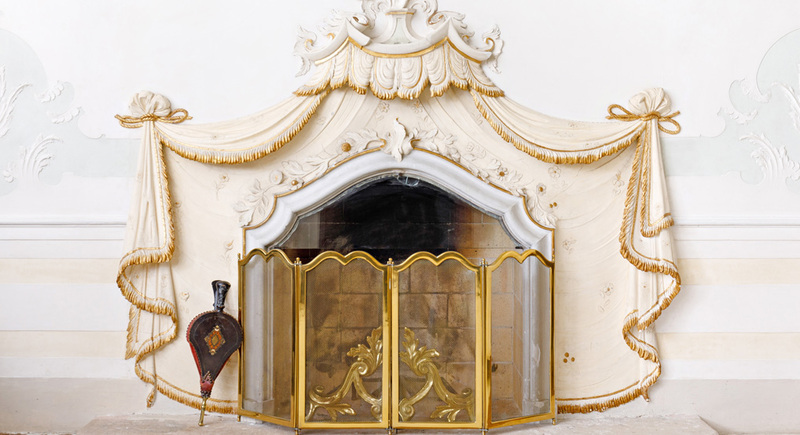 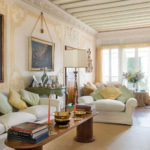 Guests can gather in the stylish living room or in the cozier sitting room with its fireplace, both exquisitely decorated with handsome furniture, antiques and period artwork. 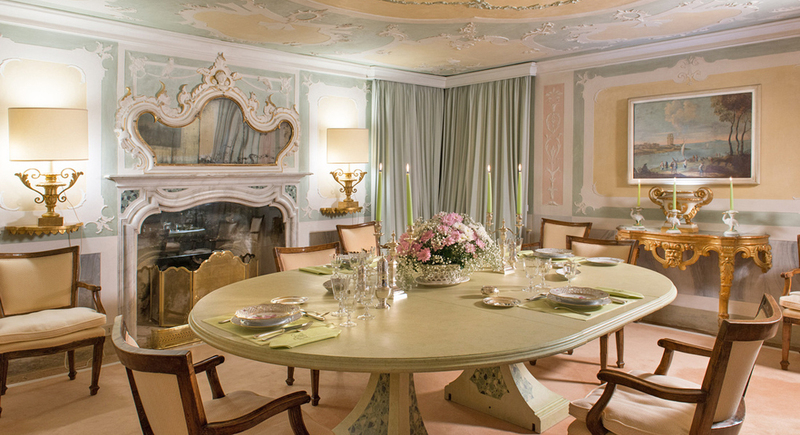 Enjoy exceptional Venetian gastronomy in the splendid dining room, with charming putti and allegorically decorations overhead. 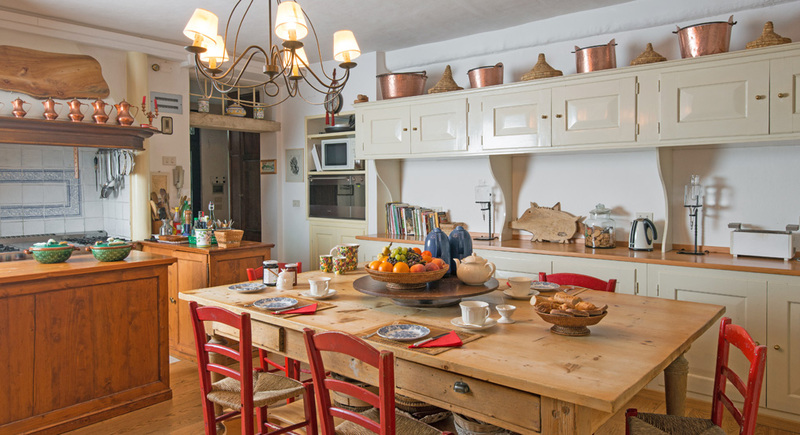 The kitchen is a chef’s delight with a large stove, modern appliances, ample counter space and a breakfast table for eight. 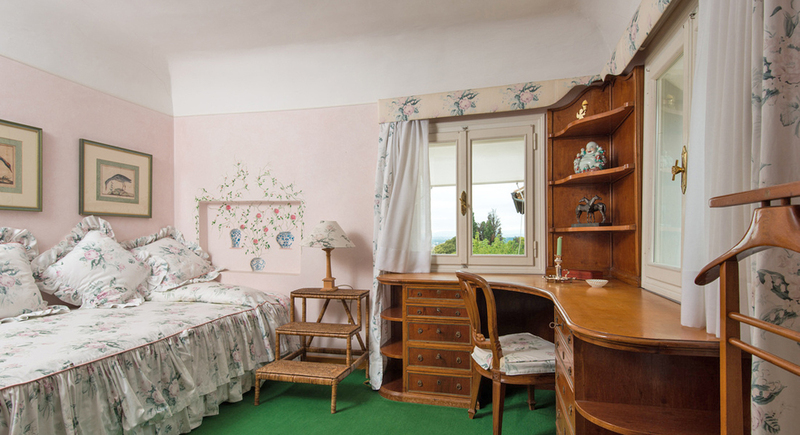 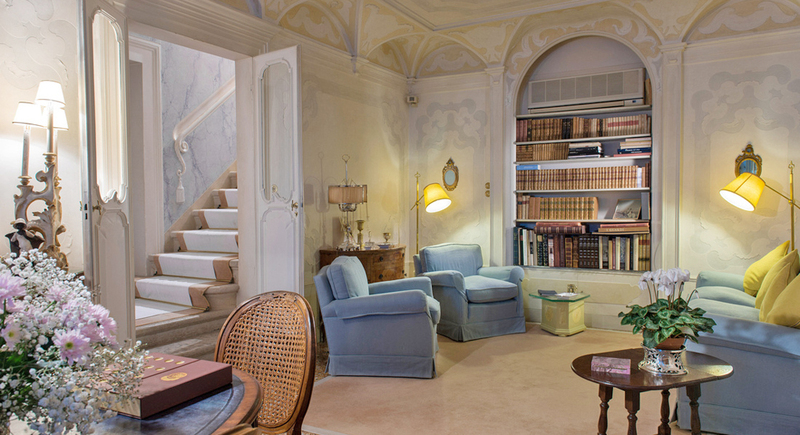 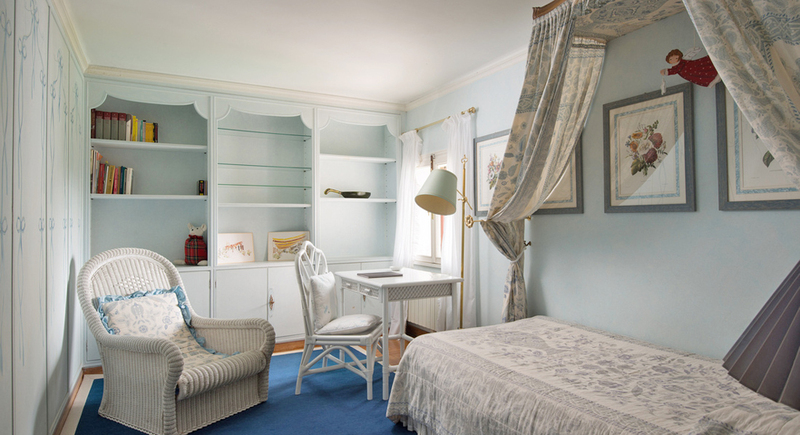 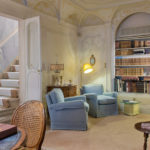 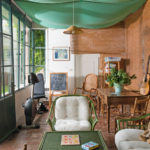 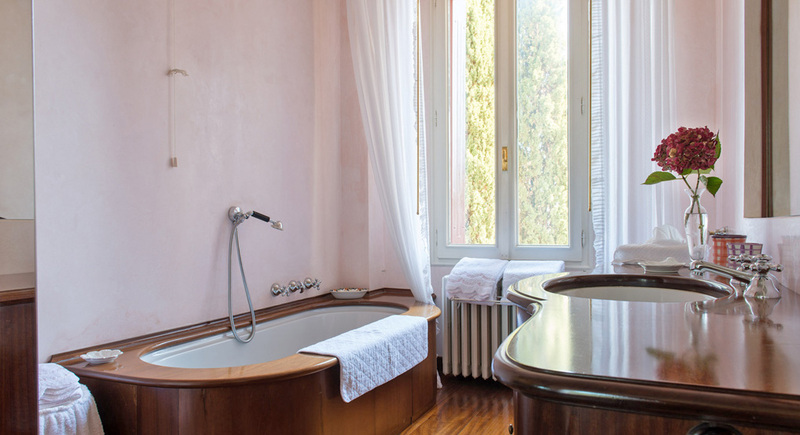 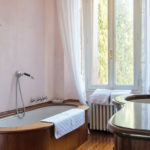 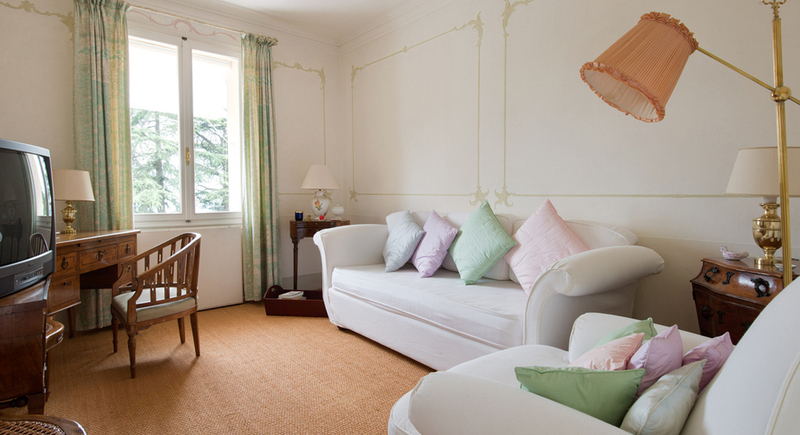 The second floor is home to Cardinal Rubini’s former drawing-room, another living room with exposed wooden beamed ceilings and two beautiful and spacious ensuite bedrooms which feature romantic stucco work behind the plush beds, as well as wall paintings and comfortable sitting areas. 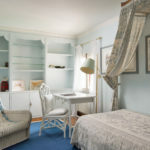 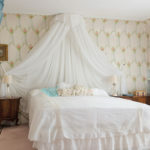 The third floor has five further attractive bedrooms; a master, a double, a small double with Tatami bed and two singles. 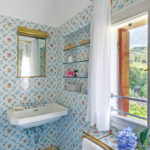 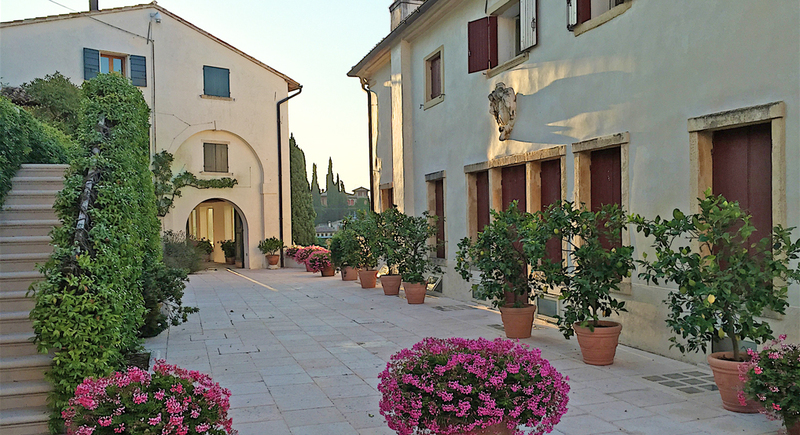 Additional accommodation for guests is located in a porticoed barchessa, the former stables and barns located beside the central villa. 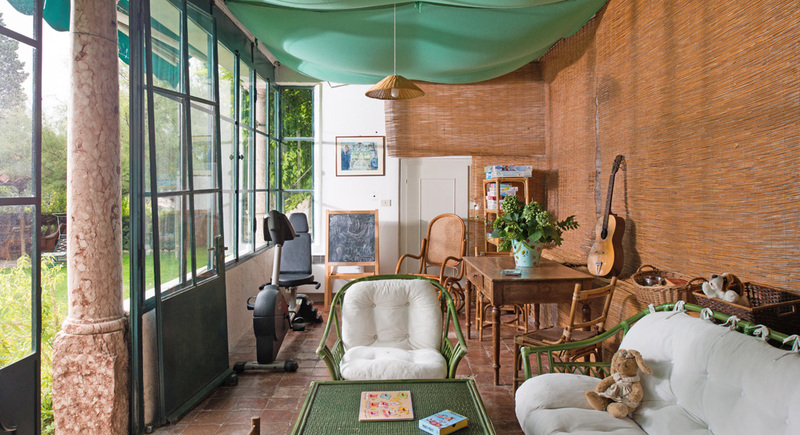 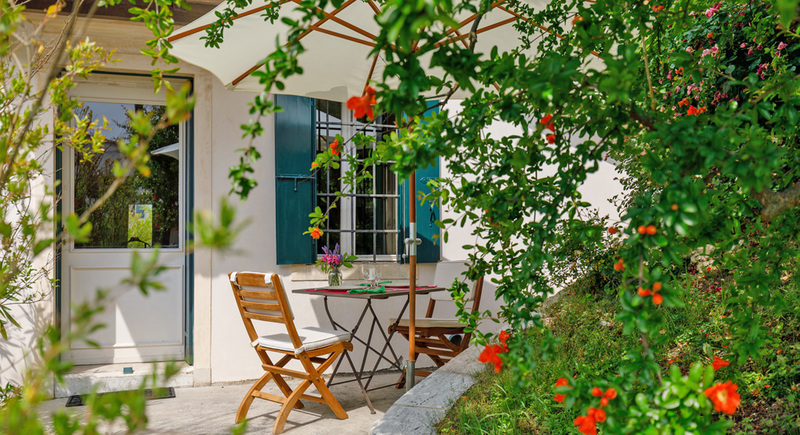 This annex has an independent entrance and consists of a sitting room, a double bedroom, a large bathroom and its own terrace. 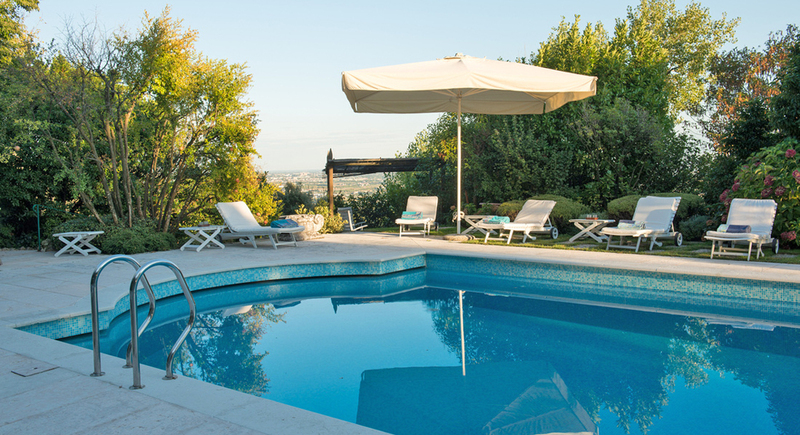 You can admire the views and sip on some local AOC prosecco in the various sunny and shady dining and sitting areas around the villa. 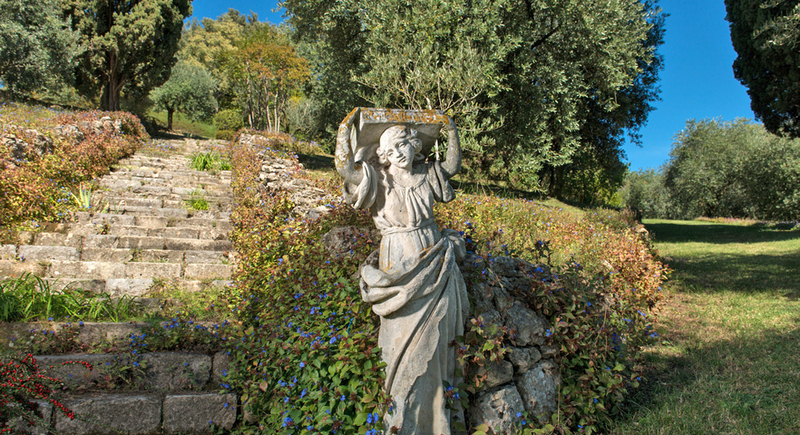 The estate’s large park cascades in terraced gardens, dotted with flowers, sculptures and centuries-old trees. 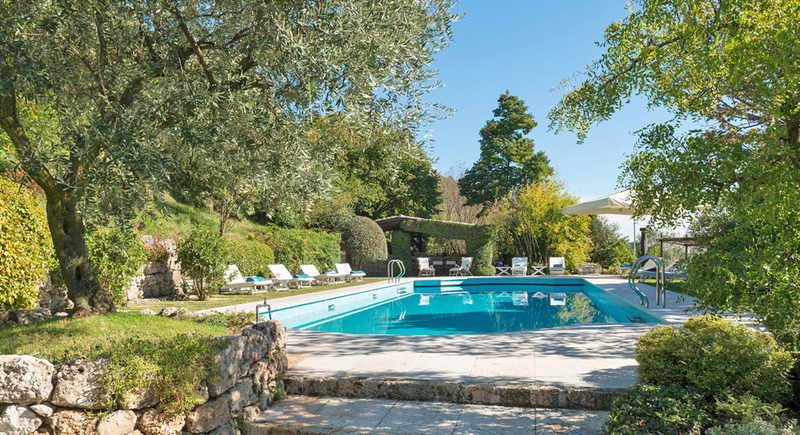 Paths meander to the pool area, hidden by trees and surrounded by loungers and a covered lunch area. 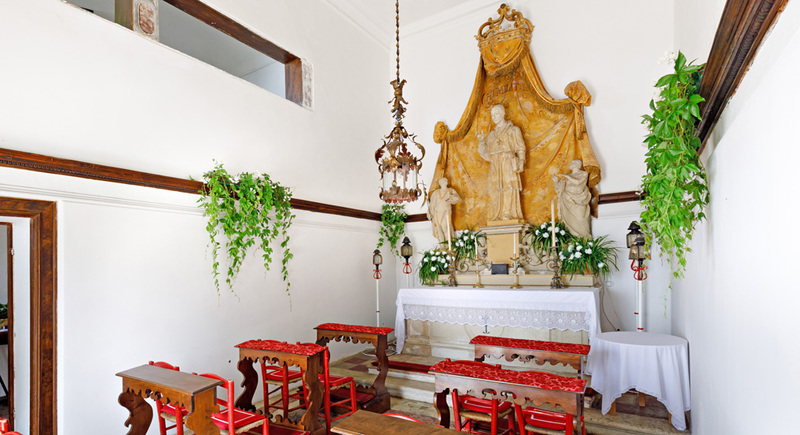 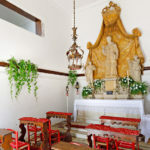 For the romantically minded, the estate’s small chapel, the oldest sacellum in Asolo devoted to the Madonna, is the ideal place for a small and elegant wedding. 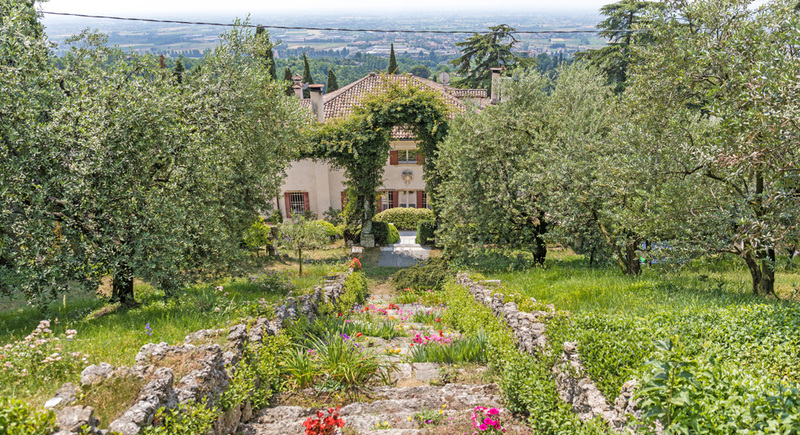 You can easily venture out on foot to explore picturesque Asolo. 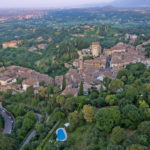 Golfers can tee off a mere ten-minute drive away and oenophiles won’t be disappointed with the extensive wine tasting opportunities in the area. 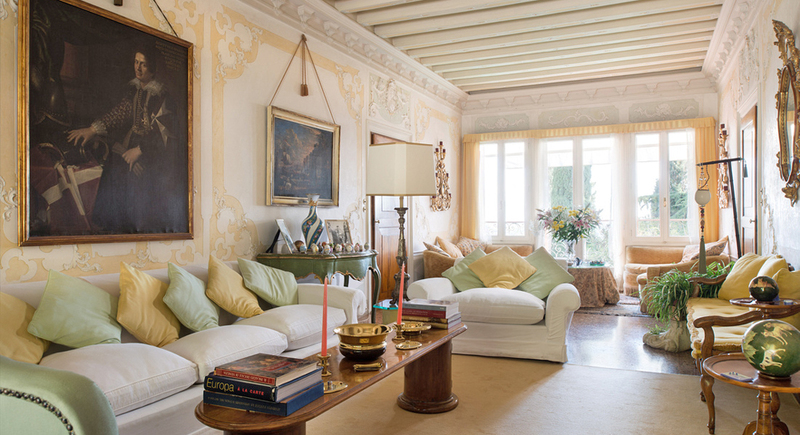 If Venice beckons, you can reach the city in around an hour’s drive or 50 minute train ride. 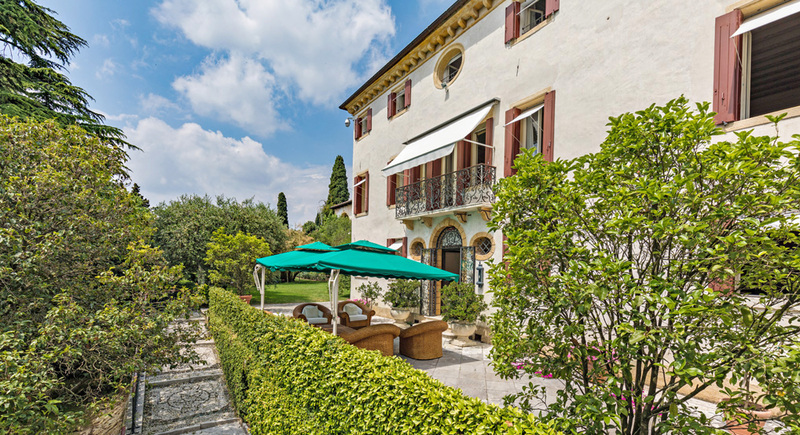 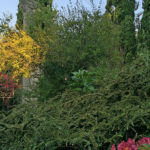 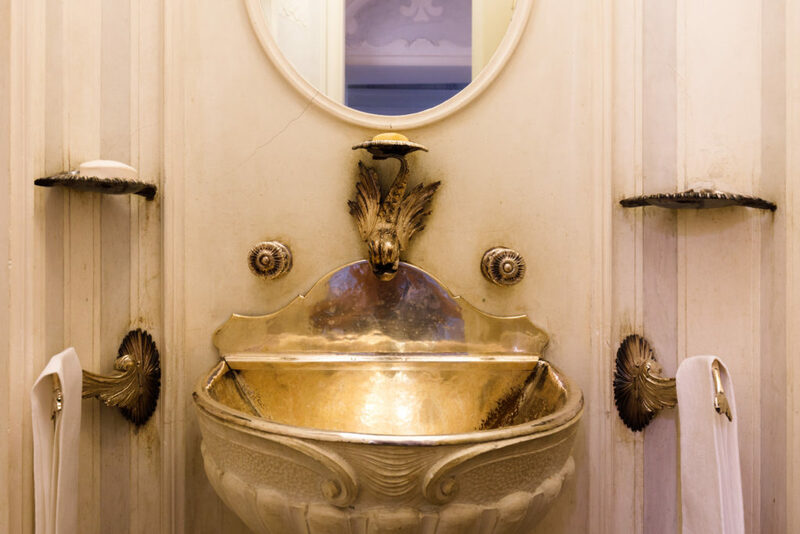 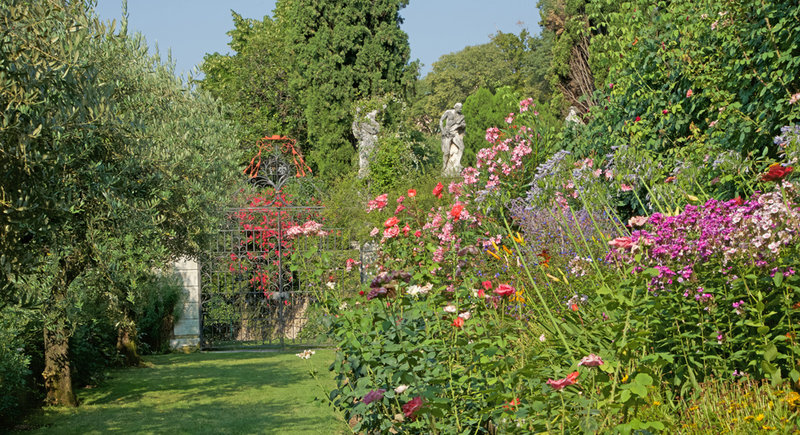 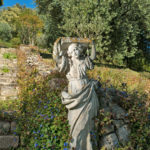 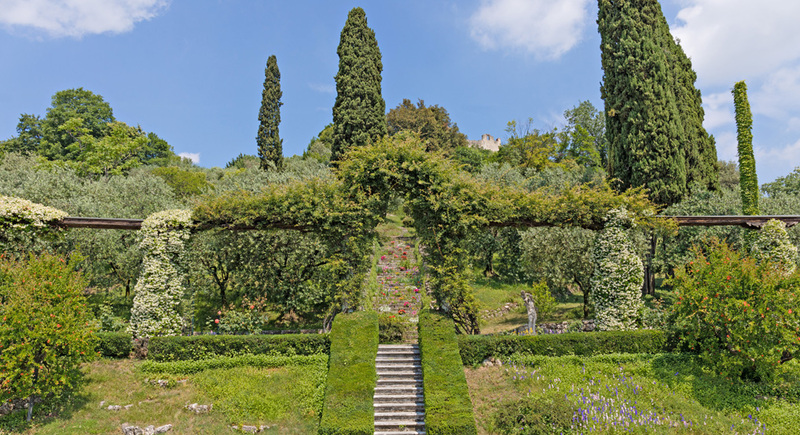 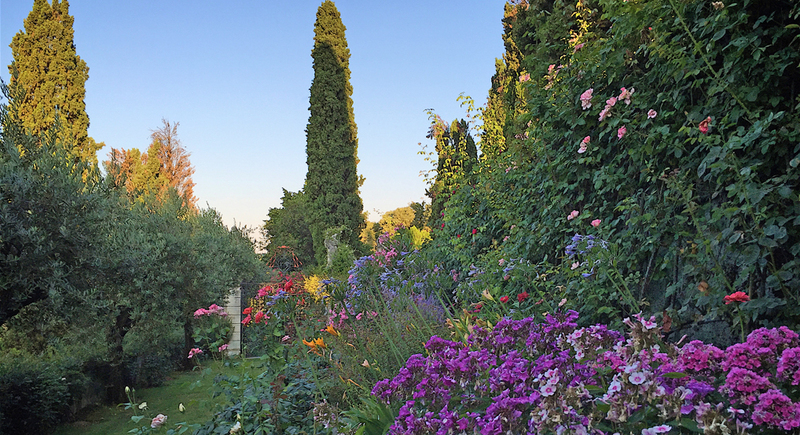 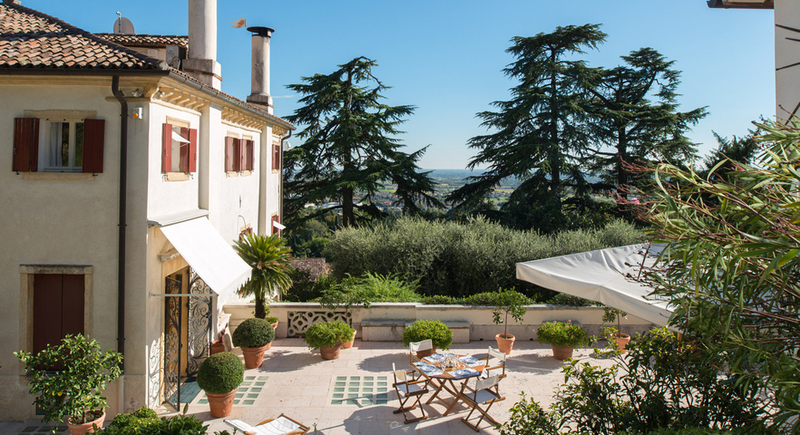 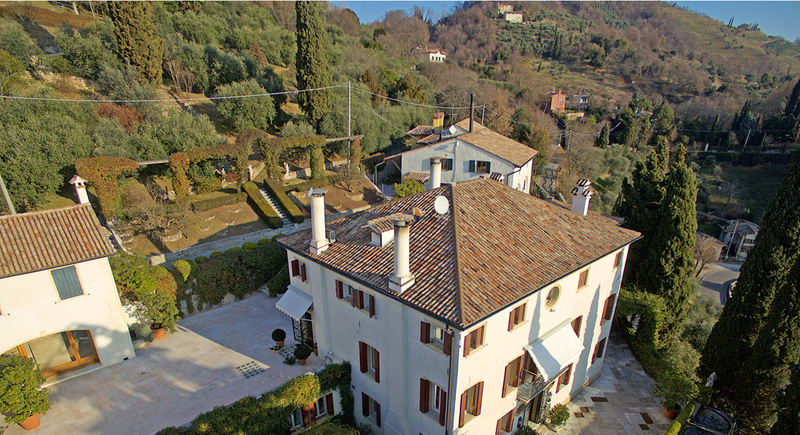 •	Villa il Cardinale is set among 15000 m2 of gardens with manicured lawns, statues, cypress and olive trees. 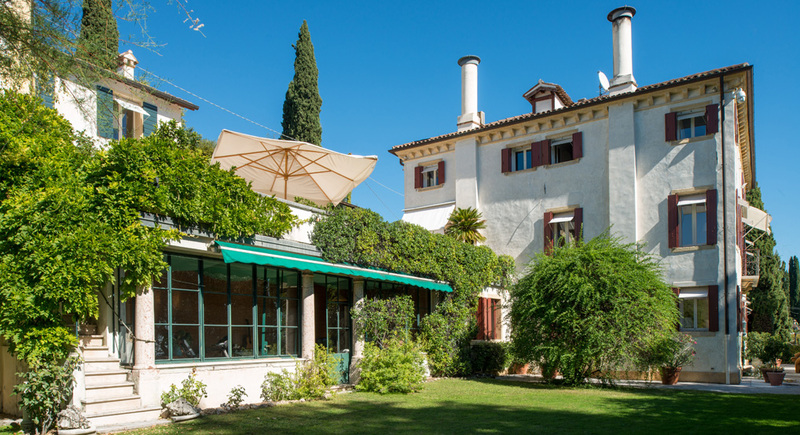 •	The grounds include a pool 17,6m x 6,2m hidden by trees and surrounded by loungers and a covered dining area. 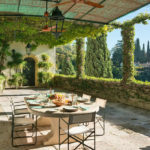 •	Large loggia for outdoor dining. 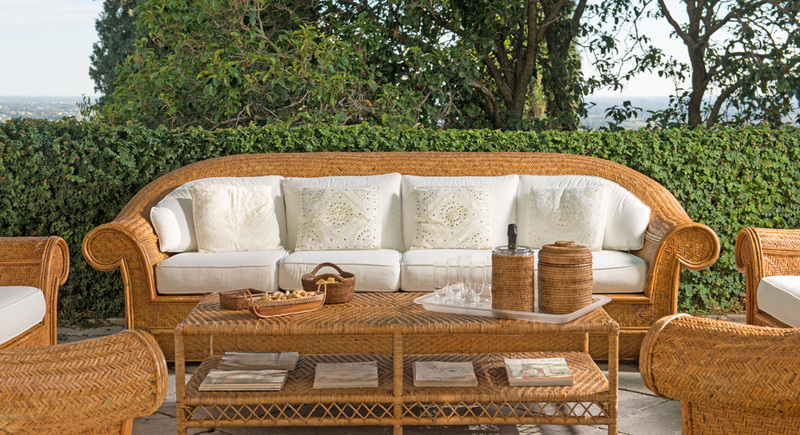 •	Additional outdoor area which features sofas and umbrellas. 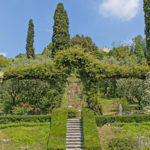 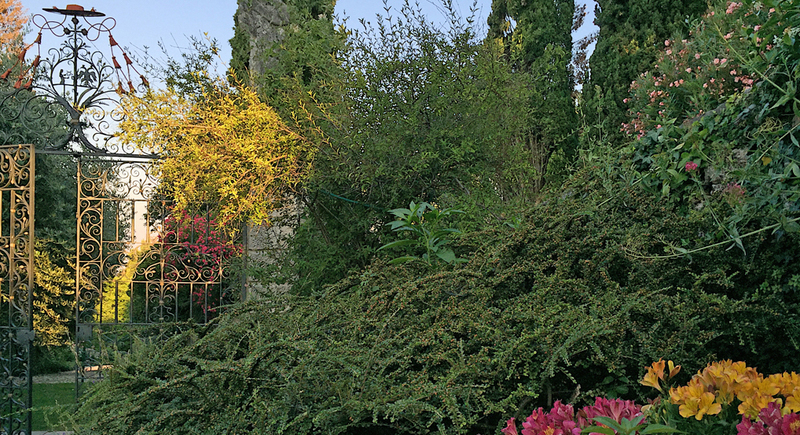 •	For the romantically minded, the estate’s small chapel, the oldest sacellum in Asolo devoted to the Madonna, is the ideal place for a small and elegant wedding. 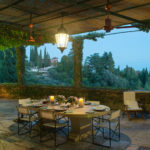 •	At the back of the villa there are 2 more houses lived in by the staff and part of the family. 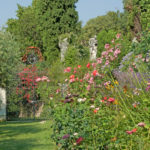 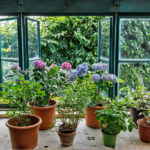 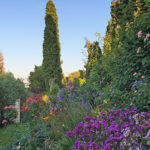 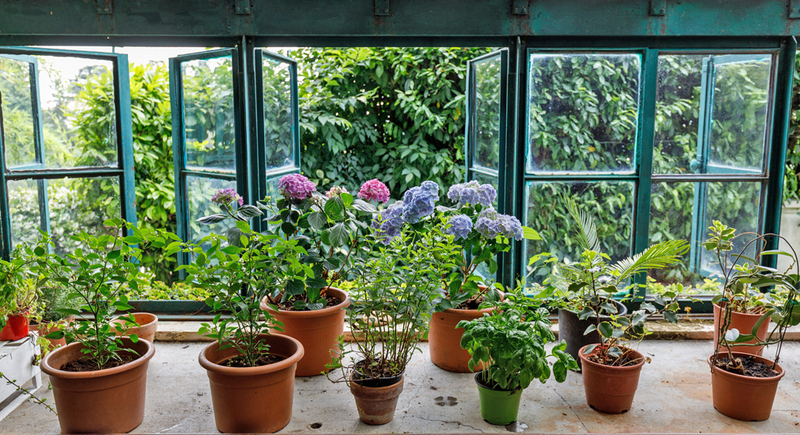 They all look out on their own separate garden and therefore in no way impact on your privacy. 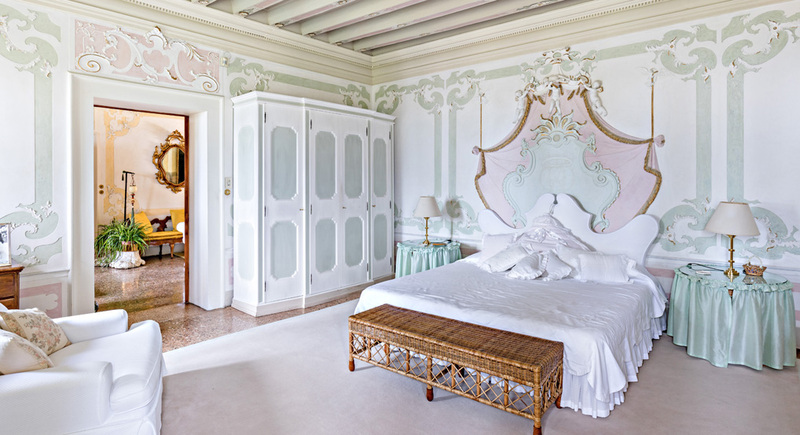 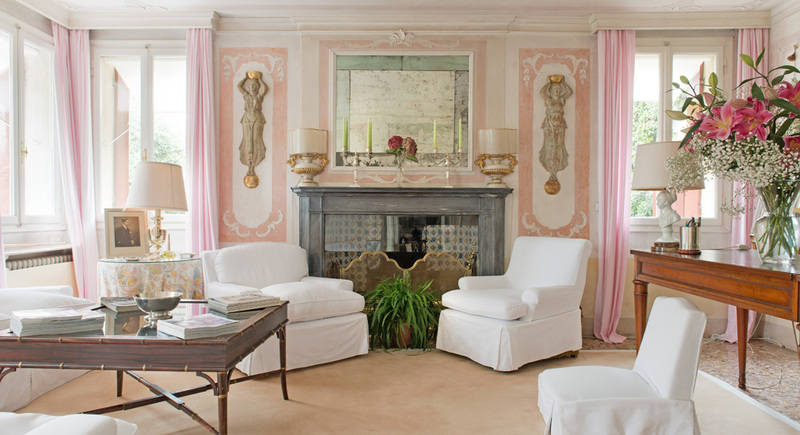 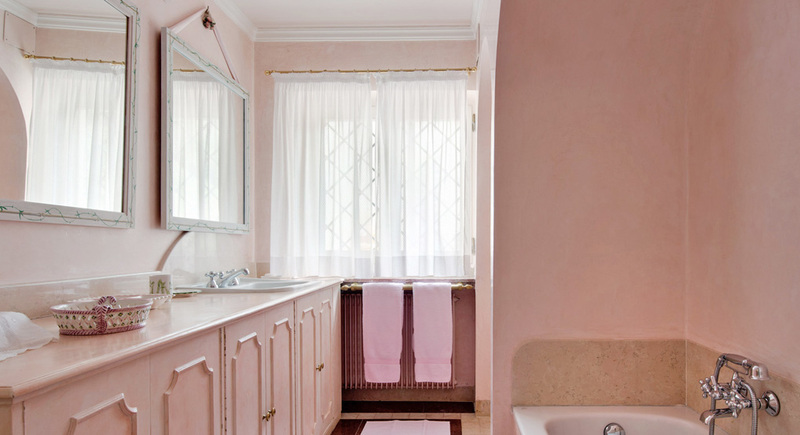 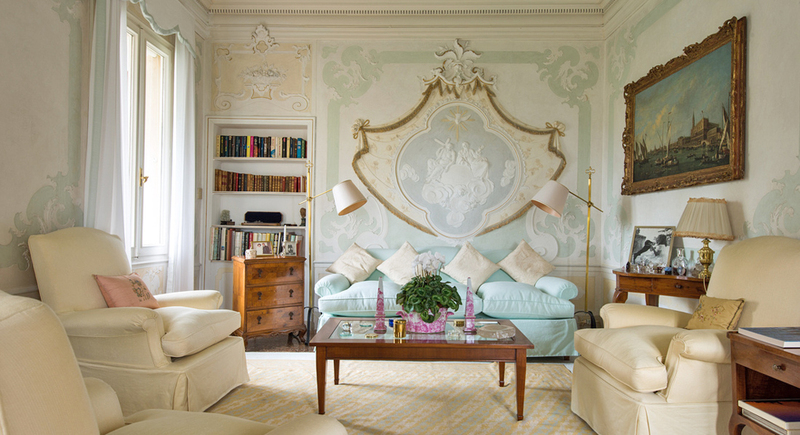 •	The interior is exemplary of Venetian grace, adored in period stuccos and Venetian plastered walls and painted in delicate pastel tones. 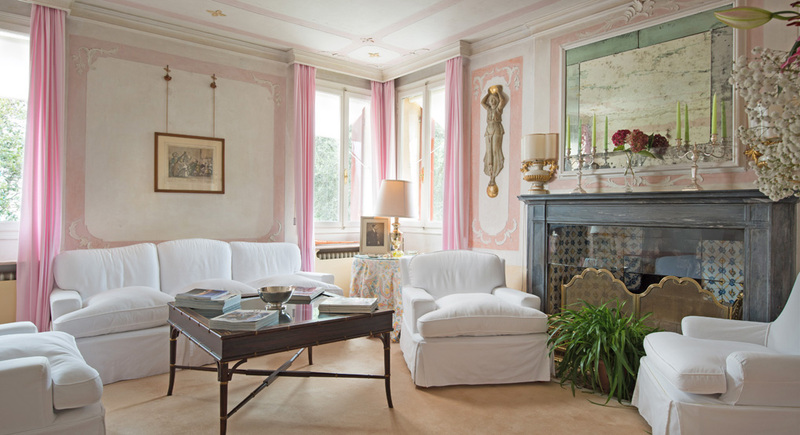 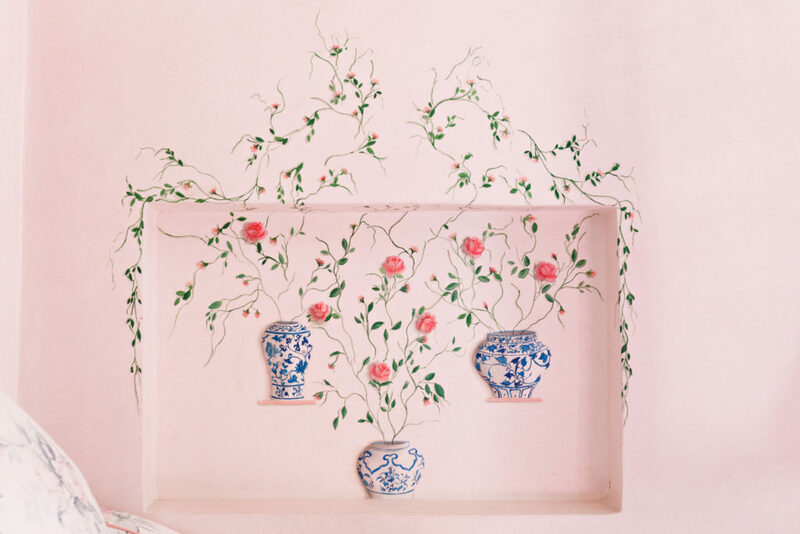 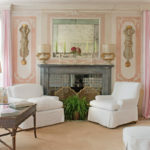 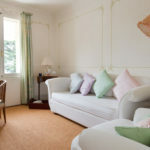 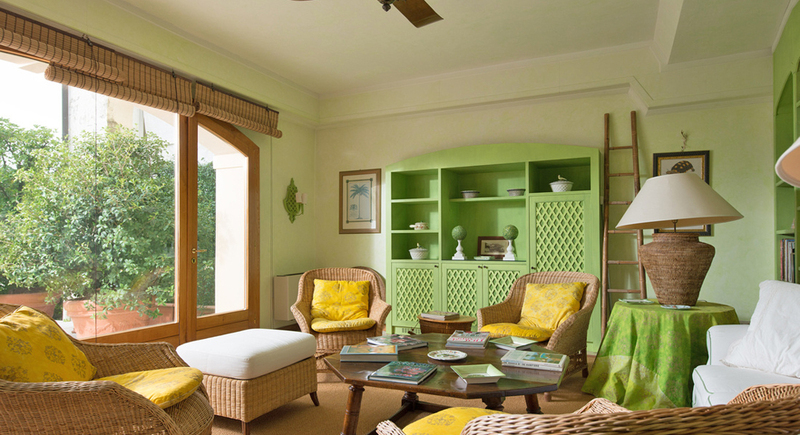 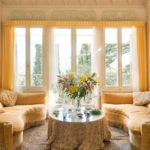 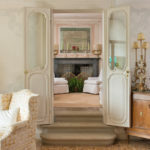 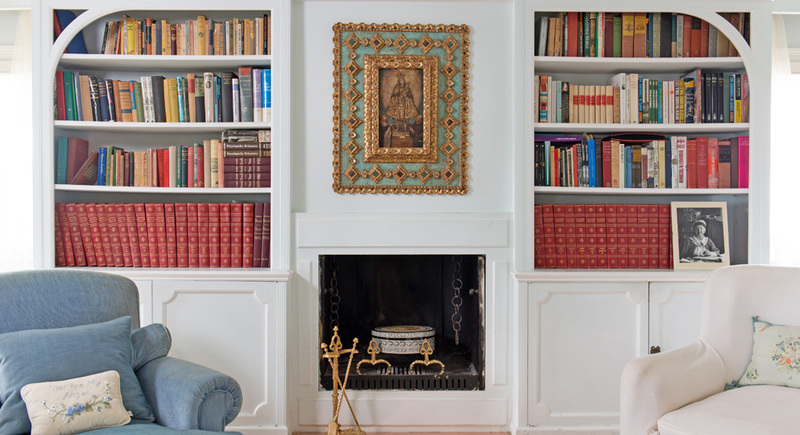 •	Guests can gather in the stylish living room or in the cozier sitting room with its fireplace, both exquisitely decorated with handsome furniture, antiques and period artwork. 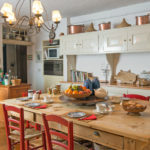 •	The kitchen is a chef’s delight with a large stove, modern appliances, ample counter space and a breakfast table for eight. 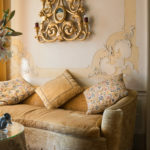 •	Beautiful and spacious bedrooms which feature romantic stucco work behind the plush beds, as well as wall paintings and comfortable sitting areas. 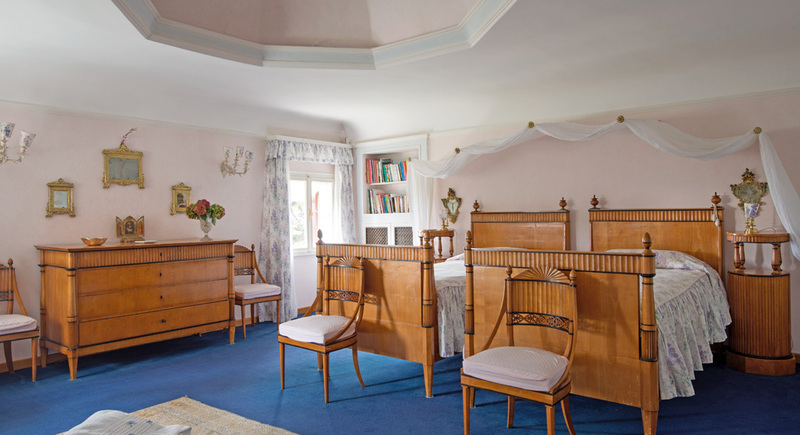 •	There are 2 doubles with en suite on the first floor; on the second floor are a master, a double, a small double and two singles. 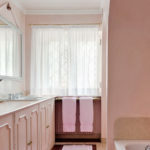 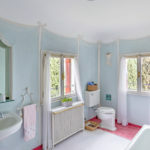 The master and one single share an en suite, the small double has an en suite whilst the other double and single bedrooms share one bathroom. 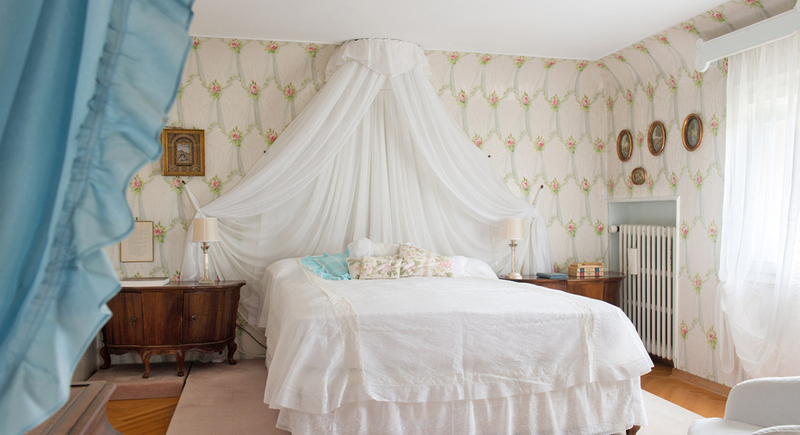 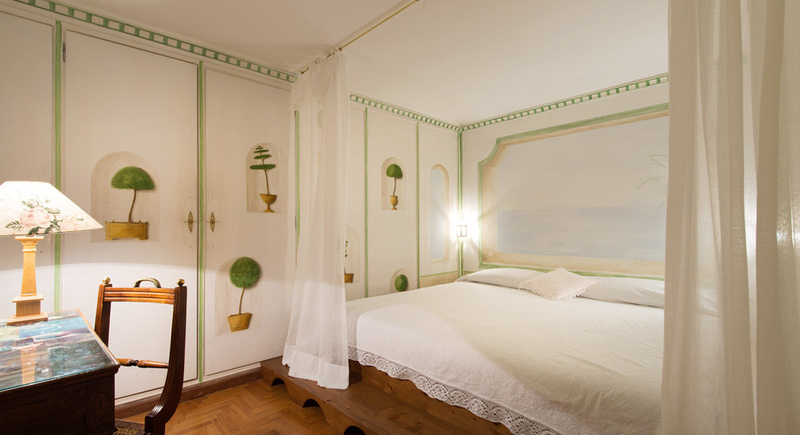 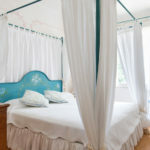 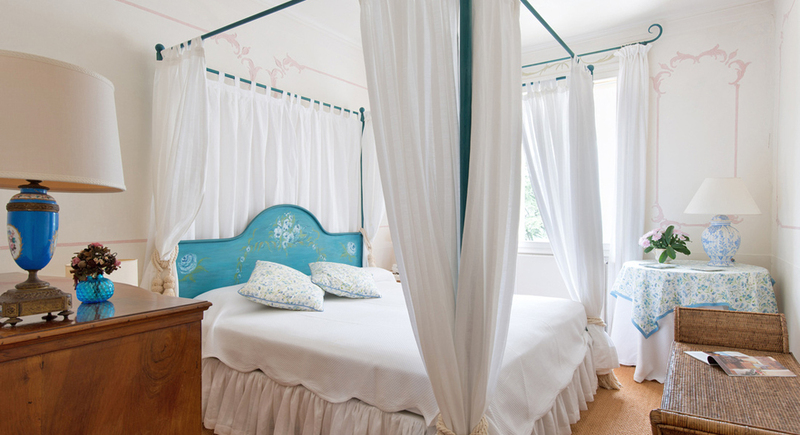 •	A further bedroom can be found in a porticoed building located beside the central villa. 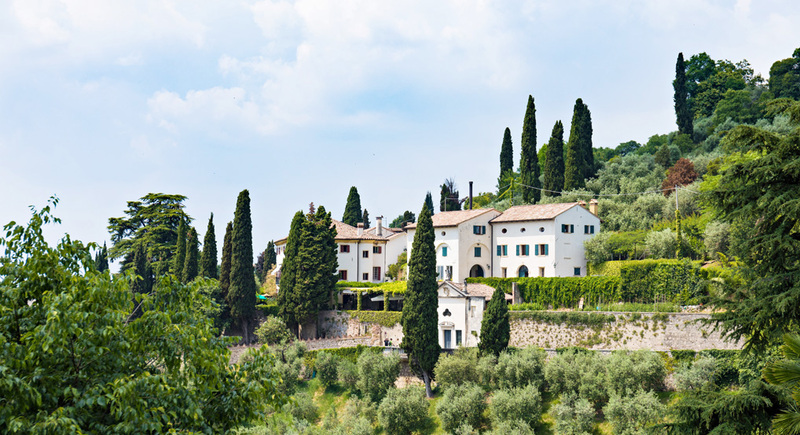 • From Asolo, Venice is a easy day trip, as do the Roman ruins and Arena in Verona. 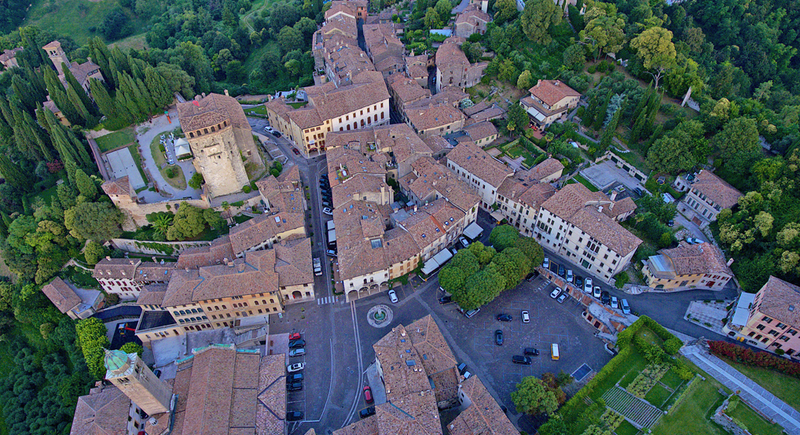 • Smaller interesting towns are : Valdobiadenne - the home of prosecco, Bassano del Grappa is where Grappa originated. 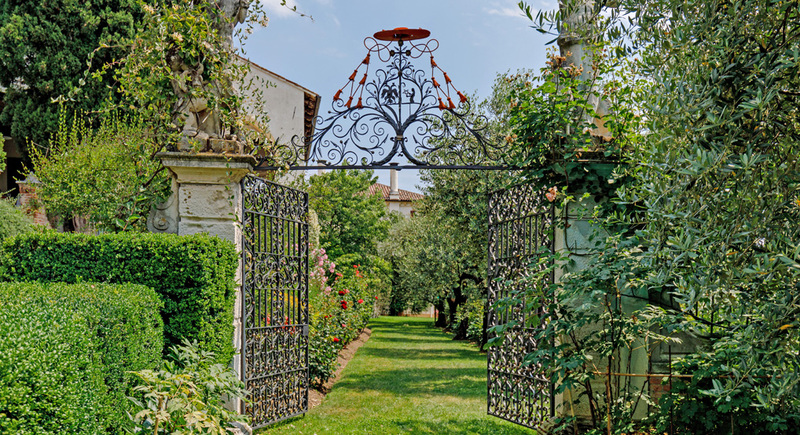 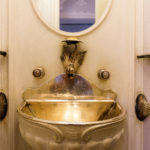 • Follow the artistic and historic itineraries visiting the nearby art towns as Treviso, Padova, and Vicenza, the walled cities, and the Palladian villas such as Villa Barbaro (1549) by Andrea Palladio and frescoed by Paolo Veronese. 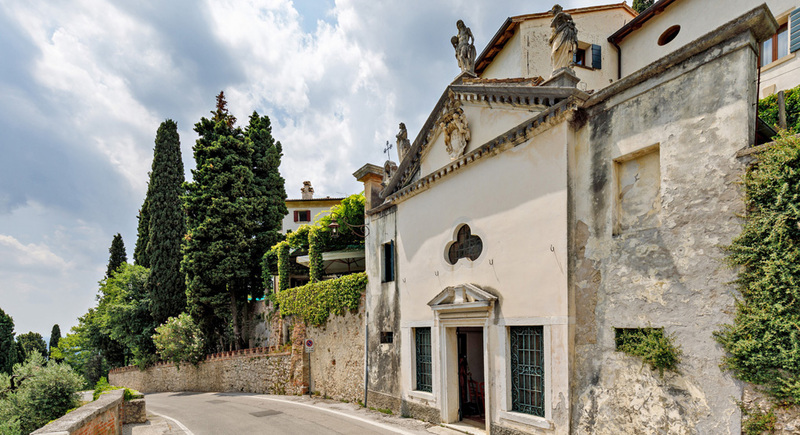 • Wander the boutiques and local artisan shops in the centre of Asolo. 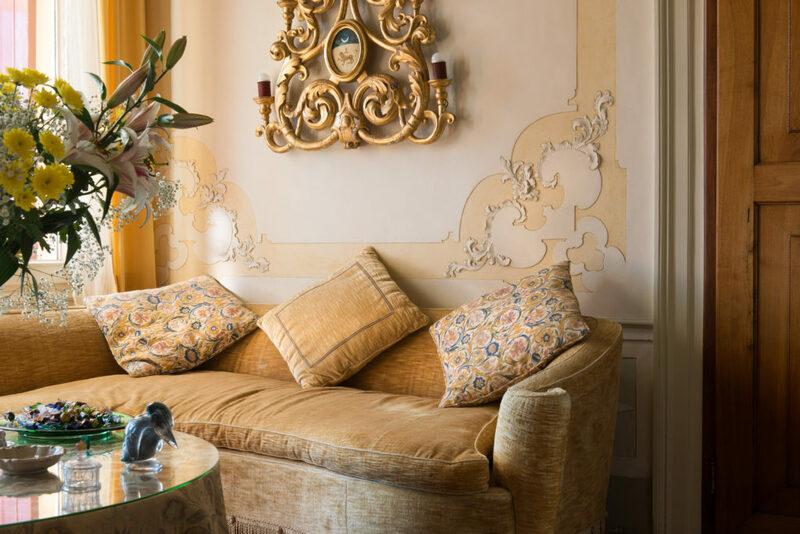 Relax in the Villa Cipriani Wellnesspace. 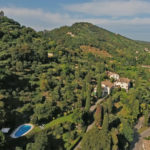 • The Asolan Hills and Mount Grappa offer the possibility of excursions on foot or horseback and routes of natural interest, as well wonderful cycle routes. 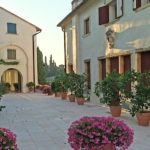 • The summer season includes organized shows and festivals, restaurants near by offer a wide variety ranging from a dinner to the world renowned hotel villa Cipriani to quaint country pizzeria's. 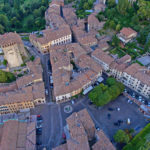 • Everywhere in Asolo you can find a “trattoria” to savor the unforgettable dishes of the culinary tradition: as "sarde in saor", Treviso or Castelfranco radicchio (a kind of red lettuce), pasta and beans, pumpkin and white asparagus from Bassano. 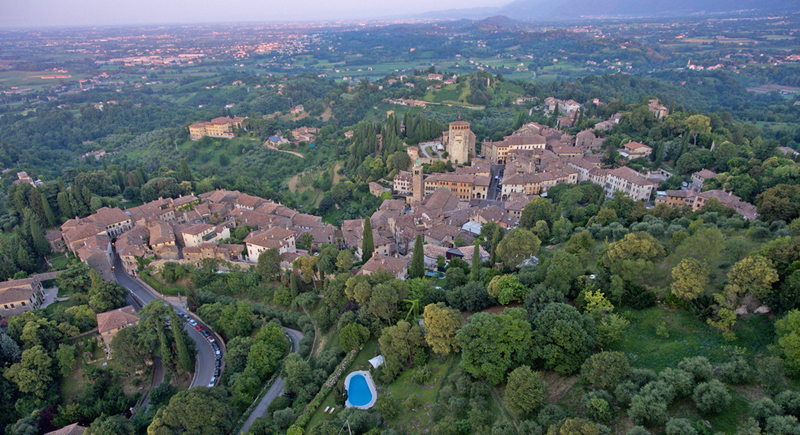 • Asolo is part of the national circuit of Città Del Vino (Wine Cities), and celebrates in august with special wine tastings its first class wines. 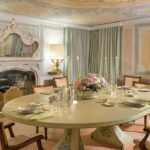 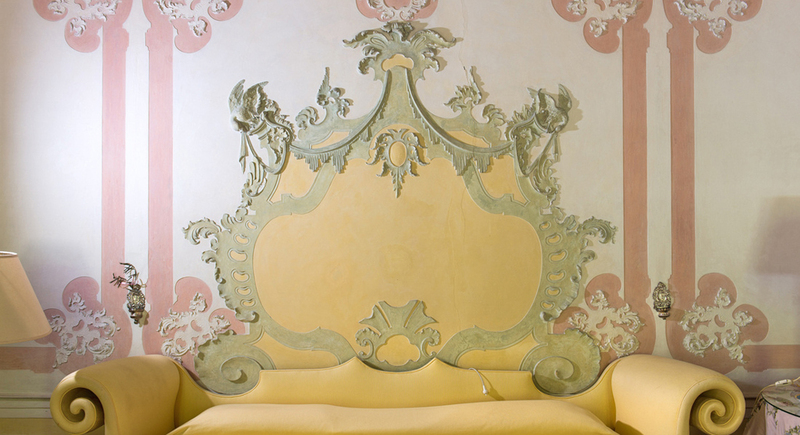 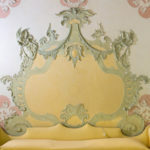 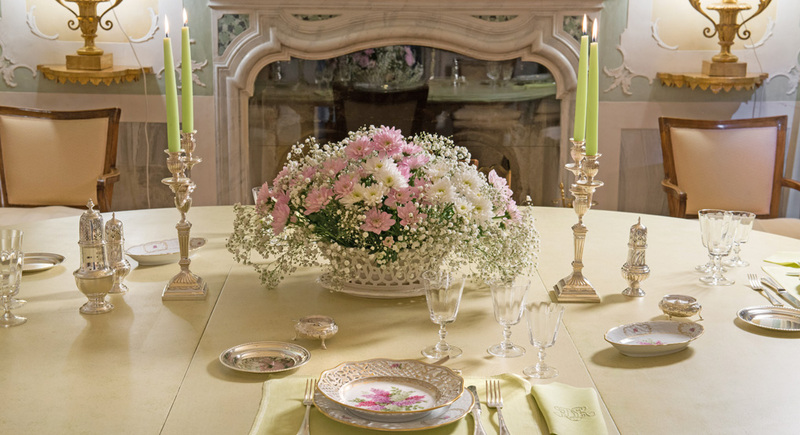 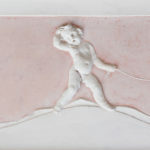 - The Embroidery School of Asolo for linen, lace and artistic ornaments. 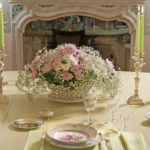 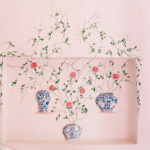 - The colorful ceramics for beautiful vases, and the finely painted cups. 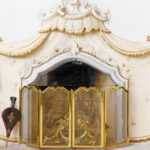 - The antiques market, for furniture, pictures, jewellery in the many antiques galleries under the porticoes and in the squares of the city center. 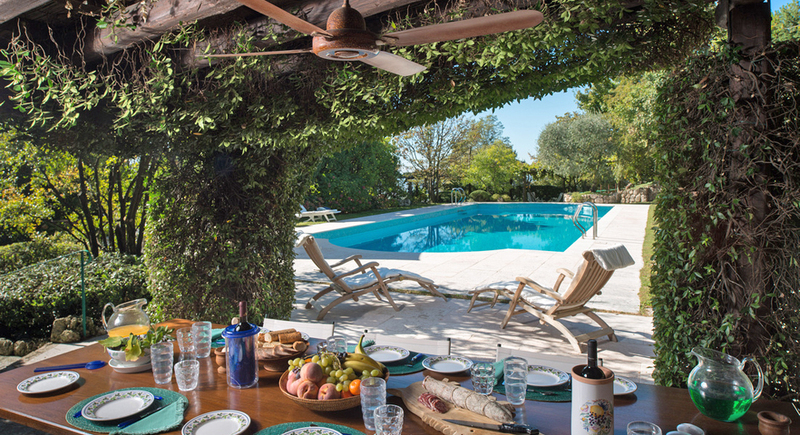 To receive a complete overview of activities and sightseeing in the area, contact Katharina or Gaia at contact@excellence.villas We will promptly email you an exhaustive document. 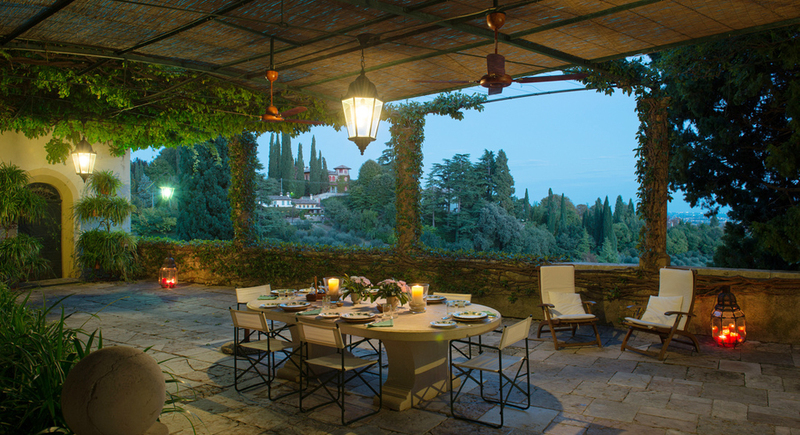 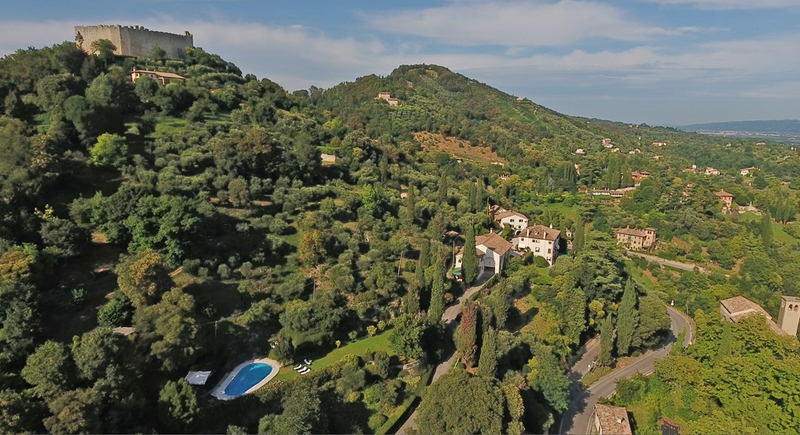 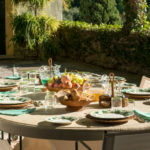 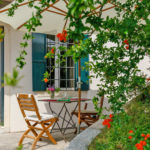 When you rent any one of our superlative Italian villas, you get the full advantage of our topflight holiday planning expertise. 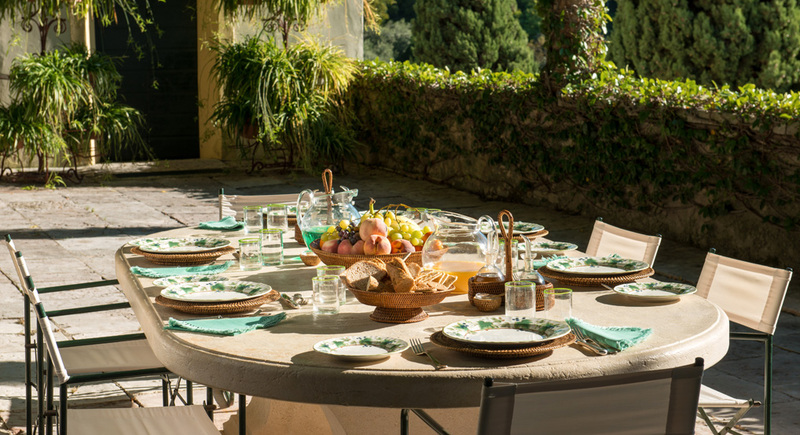 Tailored to meet most of the demanding traveller’s wishes and expectations, our exclusive holiday planning service offers you four premium benefits.